Here we chat to senior mediator, David Morissey about his experiences at Perth Mediation Services. It would have to be Helping People. Relationship breakdown is one of the most stressful times in people’s lives. If mediation is successful they can put it all behind them and get on with life instead of prolonging the pain by going through Family Court. Do you think any of your life experience helps in your career? For sure. I’ve spent some years as a single parent so I understand the challenges and can empathise with both parties when separation occurs. What do you think is the most important skill you need to be successful as a mediator? Being able to listen to clients’ needs. Without really understanding what your clients hope to achieve in mediation you can’t provide the options that will allow for those needs to be met. You must have come across many heated situations during your career, how do you cope? Sure there have been some robust conversations! But I can usually calm the situation and remind both parties that calm, open discussions allows everyone to be heard and leads to more positive outcomes. How would you describe a good day? When both parties tell me during their pre-mediation meetings that there’s no way mediation will work for them and they’ll have to leave it to the lawyers in Court but after a three-hour joint mediation session they have an agreement they are both satisfied with. Knowing I’ve saved them around $100k each in legal fees is a rewarding part of the job. I graduated from Law School at Notre Dame University. I was passionate about mediation early in my studies and won a prize for excellence in Alternative Dispute Resolution. My special interest in Family Law led me to complete a Graduate Diploma in Family Dispute Resolution. Does the Family Court recognise your qualifications? Yes, I’m registered with with the Attorney General’s Department as a Family Dispute Resolution Practitioner (FDRP) so I’m authorised under the Family Law Act to issue Section 60I Certificates that will allow progression to Court when Family Dispute Resolution is either unsuccessful or not appropriate. Practitioner member of the LEADR and IAMA Association of Dispute Resolvers. We strive to reach agreement with you and your partner in a fair and equitable manner. Our legally qualified mediators develop detailed parenting plans to for both parties that are both critical for your resolution and legally binding. Yours and your family's welfare is our top priority. We are unique in the way we deal with high conflict disputes. We exercise techniques and arrangements to maximise your safety and care. Our legally trained specialists will mediate and complete your property and financial settlements, ensuring all your assets are accounted for. Your first step in any resolution as required by law in any dispute prior to Family Court. We are specialists in dealing with all types of conflict. 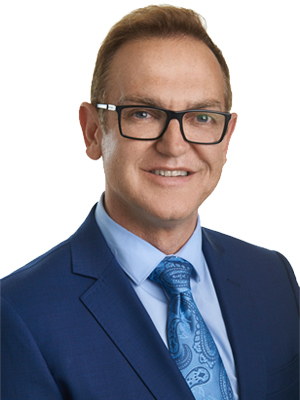 If you’d like David to help with your unique circumstances, give Perth Mediation Services a call on 9300 0674 or complete the enquiry form and David will call you back within 24 hours.